Seller will give you a gift certificate in the amount of 60 RUB for a positive review of the product purchased. 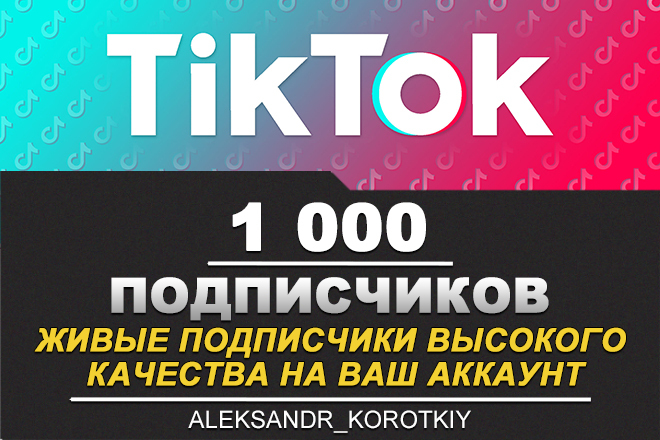 This service involves 1000 live subscribers to your Tik Tok account from all over the world! ✅ For your account it will be absolutely safe and secure! — By ordering this service, you confirm that you agree with the services described in this product. Please remember to add the bookmark to the bookmarks — in this case it will always be available for you, despite the queues or restrictions. P.S. Perhaps a small number of subscribers may unsubscribe due to their lack of interest. Usually no more than 5% — 15%. P.P.S. For a positive review I give you a gift certificate in the amount of 3% of the amount paid by you!! 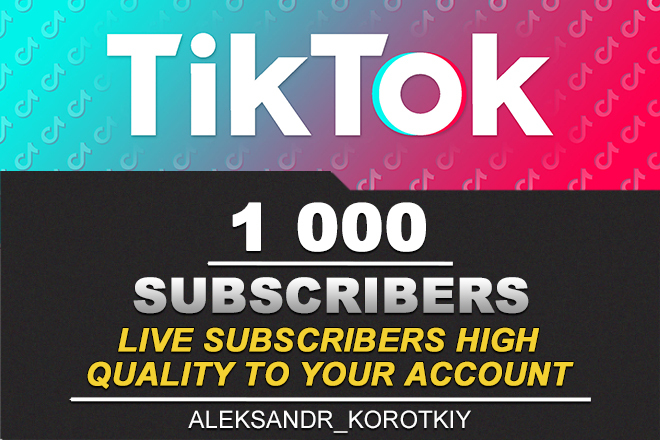 Provide a link to your Tik Tok account to which you want to add subscribers. — Attention: Your profile must be open to the job! Seller will give you a gift certificate in the amount of 60 RUB for a positive review of the product purchased..